Dr. Barbara Hodges leads a group to promote a ban on chaining dogs. Whether making slight changes in your practice protocol or joining efforts to enact animal protection laws or regulations, now is the time to get involved. SEPT. 2018: Help end the cruel practice of horse soring by supporting the PAST Act. Contact your federal legislators to urge their support. 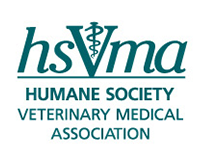 For more information about HSVMA Advocacy efforts or to get involved, email us.